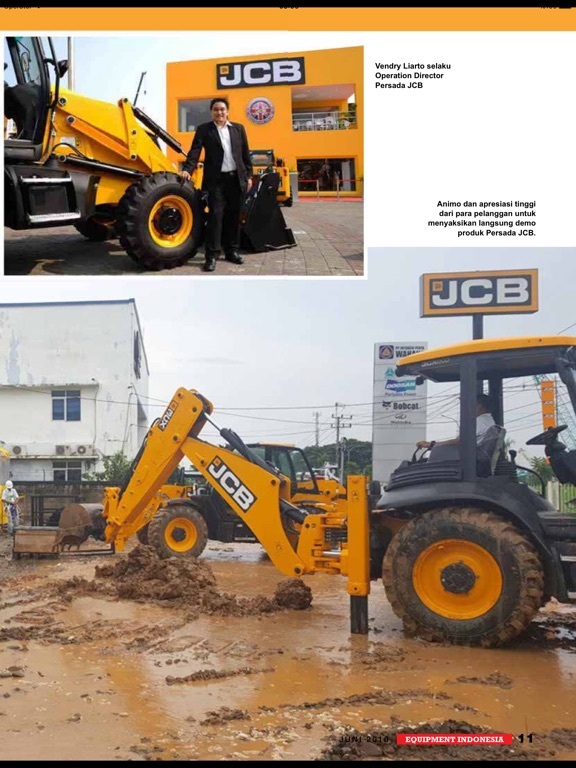 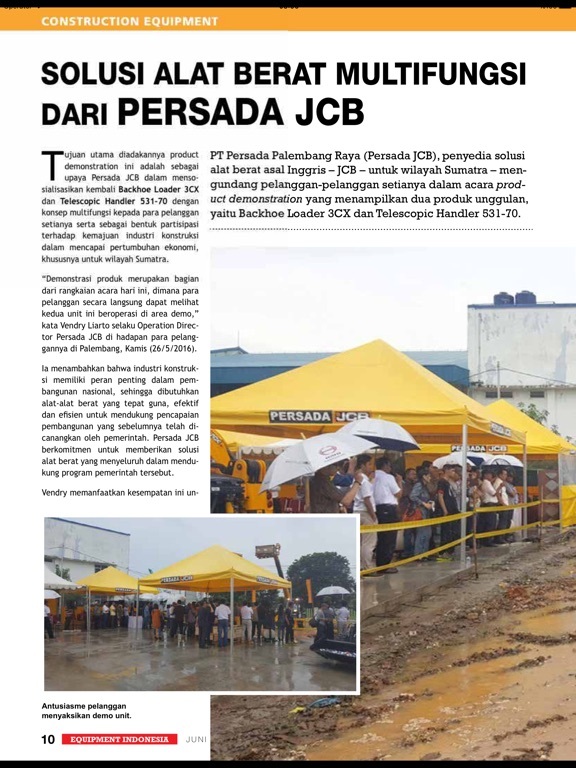 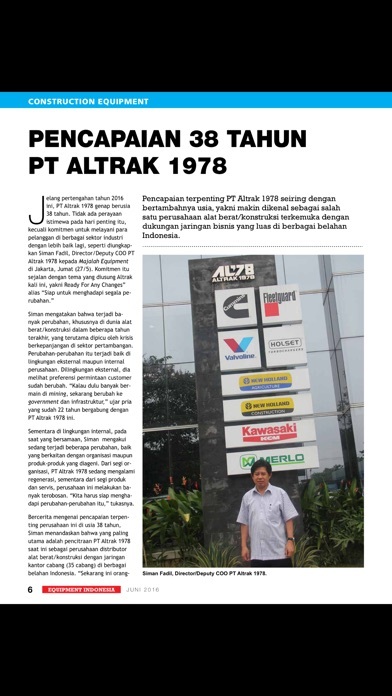 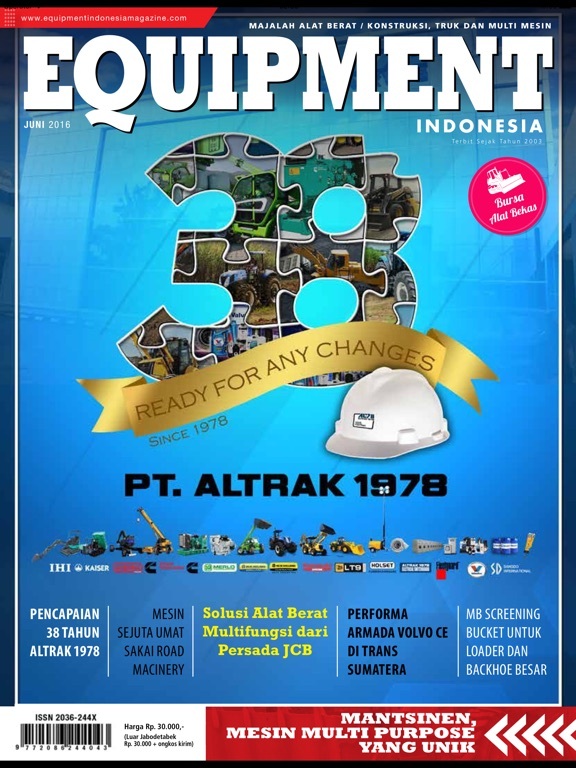 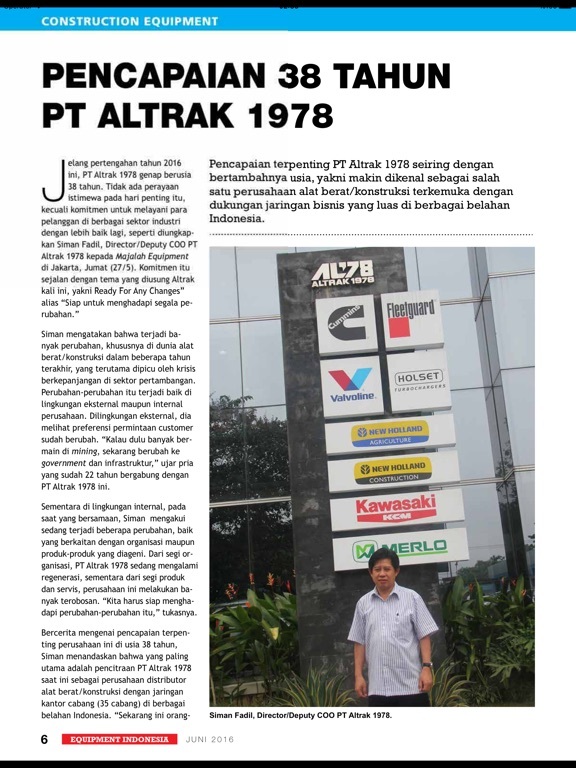 Equipment Indonesia is special magazine for heavy and construction equipments, trucks, rental business, used equipments and related business. 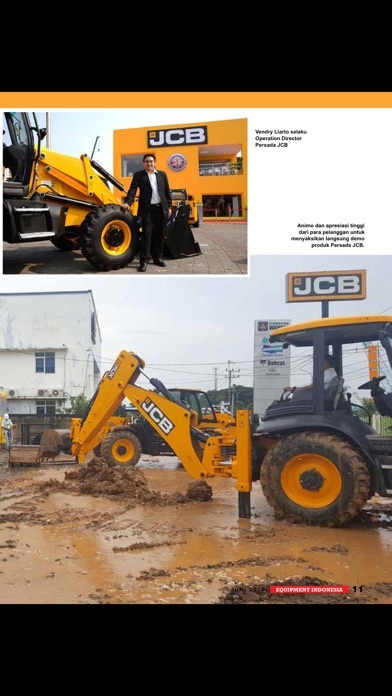 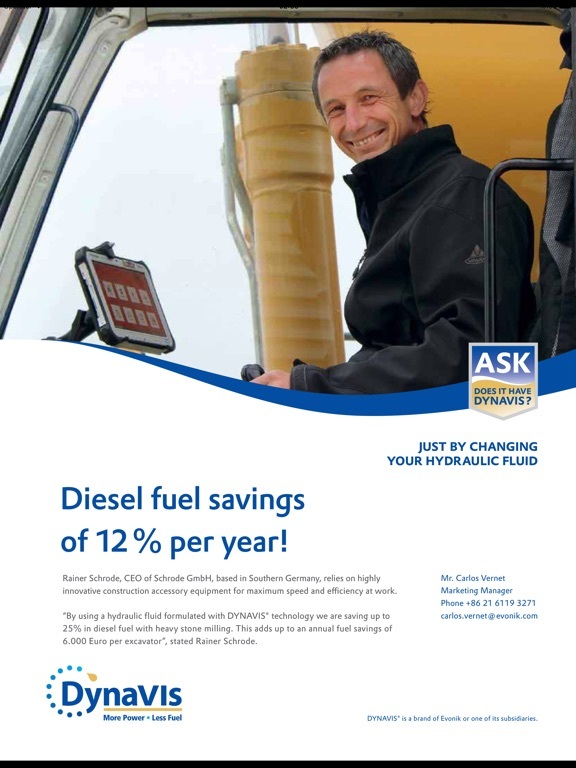 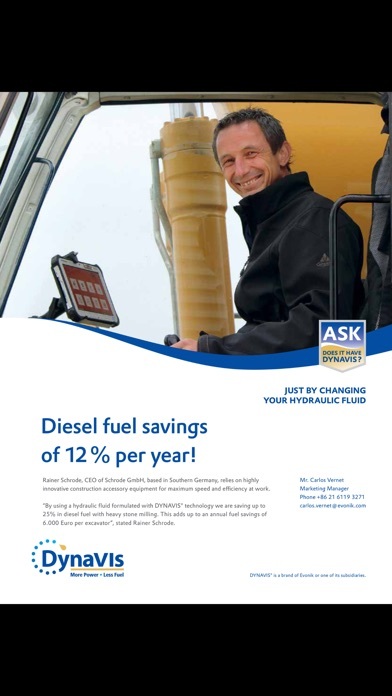 The readership is all contractors in mining and construction sectors, agro and forestry, rental companies, financial institutions and related industris. 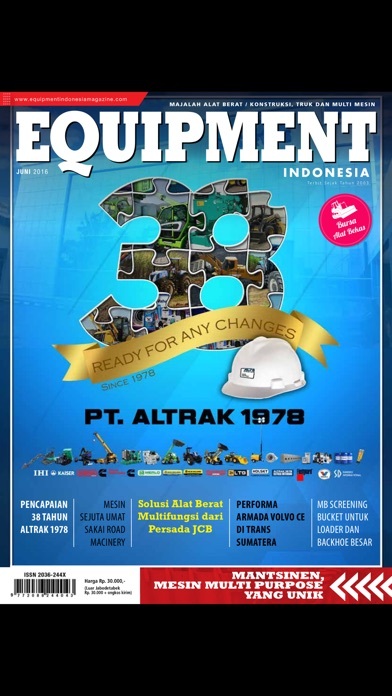 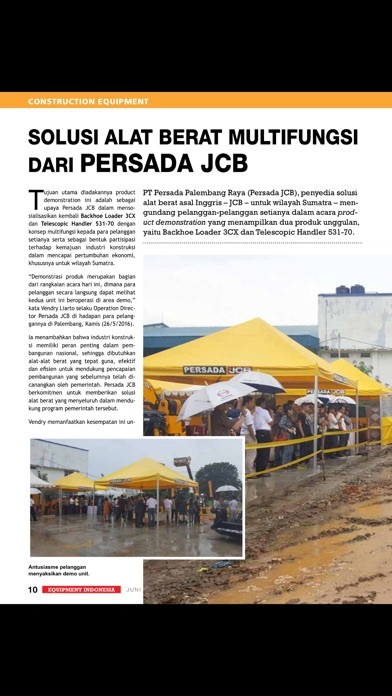 The magazine published monthly with 5000 copies in Jakarta, Indonesia.